We all deal with challenges in our life and sometimes we feel as if we are walking alone. It is in those moments that we need the support of other people. The more we reach out for support, the more we will make it. Right now in the world, it feels very disconnected and if we don’t reverse the path we are on, it will not end well. We need to know that we are stronger together, not separated and disconnected. Listen to this beautiful solo piano songs or buy it on Spotify, iTunes, Amazon, Groove, Google Play or Rhapsody. In the midst of difficult moments and challenges, we are Stronger Together. The initial chords of this song had been in my mind for a long time. In fact, they originated when I was starting to play with a tune in Jam Studio. However, the tune went nowhere at first and so I abandoned it. The key structure and progression stuck with me and while I would play around with it, nothing ever developed until recently. In November, I was struggling through some dark times and this tune started to come together. It wasn’t perfect and even though I thought I had something, there was just still a part that was missing. I put it away and worked on other music, but this one kept bugging me as if it was not finished but needed attention. On February 2, 2018 at 12:22 pm, this song, Stronger Together, was born. 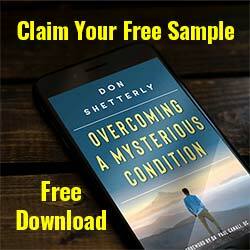 I’ll let you read the blog post I wrote about Stronger Together on the Mind Body Thoughts website. It will give you much more detail about what went into this song. 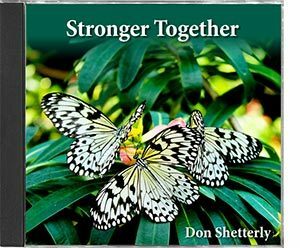 The photograph used in this song cover image was taken by Don Shetterly at the University Of Florida Butterfly Rainforest on November 24, 2018. Please note that this song is cat approved. One of the things I noticed that every time I worked on this song, my two cats would be sitting down near my keyboard listening to me. It didn’t matter what they were doing, as soon as I started to work on it, they would show up.